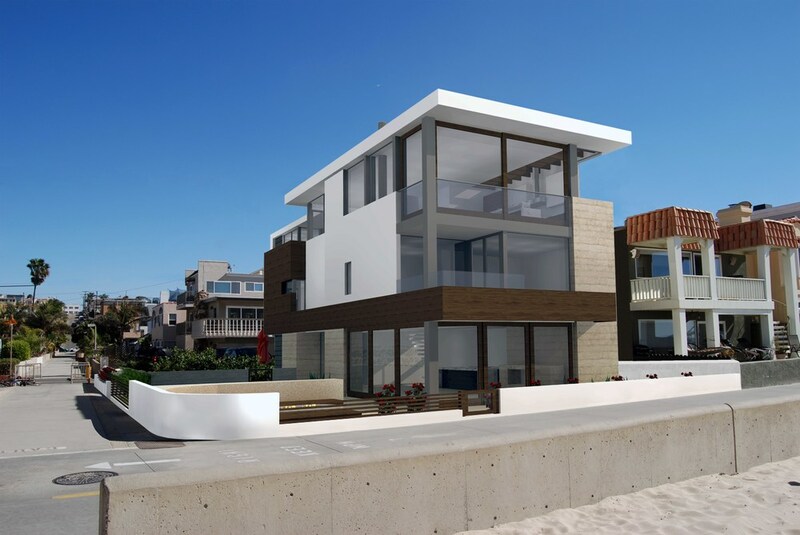 This ultra-modern beachfront masterpiece located on a corner lot at 1540 The Strand in Hermosa Beach is currently under construction, due for completion Summer 2015. When complete, it will feature a Strand level Recreational Beach Room w/full bar & panoramic doors opening West & North. The 1st floor will feature an ocean front master suite w/his & hers walk in closets + 2 additional guest suites, while the upper level living spaces will offer panoramic ocean views from the entertainer’s kitchen, walls of disappearing doors, an upper level outdoor kitchen, family media lounge, & ocean view dining. The home will be completed w/signature finishes that make this unique property turn-key for the discerning high-end buyer, with built-in customization throughout & the latest in home automation systems, property security systems, trend setting designer finishes & home efficiencies. The corner influence on this exceptional 52′ x 80′ lot allows for expansive beachfront indoor/outdoor space with hardscaped social area centered around a gas fire feature, custom outdoor kitchen, oceanfront sun patio & large outdoor dining area. This distinctive home is available now for pre-completion purchase which will allow for owner customization of finishes. Parking for 6 on-site!